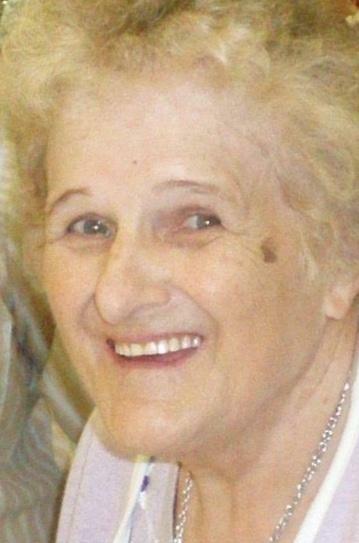 Barbara (Keller) McHenry, 84, of Benton, died Wednesday afternoon, July 11, 2018 surrounded by her granddaughters at the Gardens at Millville where she had been a resident since December 2015. Born August 26,1933 in Danville, she was a daughter of the late Glenn Allen Keller and Margaret (Laymon) Keller. She was preceded in death by her husband of 65 years, Gerald LeRoy McHenry, on November 6, 2016. Mrs. McHenry was a graduate of Benton High School and was employed by Milco Industries for many years. She also assisted her husband on the family farm and gave piano lessons. She was a lifelong member of Benton Christian Church where she was a Sunday School teacher and served as the Church organist for 50 years. Mrs. McHenry enjoyed being a homemaker and was known for her cooking and baking. She baked many wedding cakes and also was known for the many sweaters, gloves and hats that she knitted. Surviving are his two sons: David L. McHenry and Stephen M. McHenry, both of Benton; two granddaughters: Brandy Czock and her husband, Christopher and Amy Albert; 5 great grandchildren: Brennan, Callie, Aaron, Alexys and Amelia and a sister Miriam Stauder. Along with her Husband and Parents, she was preceded in death by a brother, Allen M. Keller, Sr. and by a sister, June Burke.